Do you know that washing your car with a hose can use up to 10 gallons of water per minute? That is just crazy in this day of water conservation isn't it? 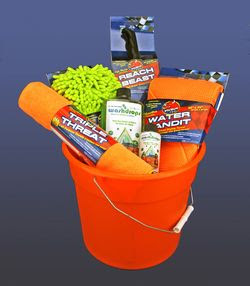 I say it is time to spring into action and green your ride with our EB Fan Springtime, Green Your Ride Giveaway. How about winning a prize pack from Washdrops that includes everything you need to easily give your car an eco-friendly shine with just one gallon of water and one ounce of Washdrops? A perfect gift for yourself or for Father's Day! Washdrops has really taken off because consumers like me love that there is no compromising on effectiveness, just because it is eco-friendly. 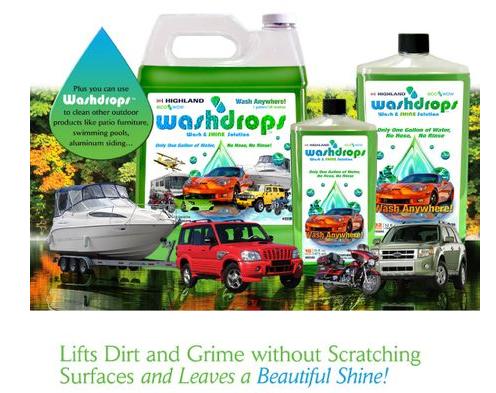 Washdrops cleans your car, or really anything you need to clean outside like kids toys, bikes, lawn furniture, motorcycles, lawn mowers, siding and more ALL with just one gallon of water and 1 ounce of Washdrops. It's a no rinse, time saving, eco-friendly solution. It's easy to enter to win! Just leave a comment below giving us your best tip to conserve water or otherwise go green for spring and earn 10 entries. Then check out the Rafflecopter entry form below to find out how you can easily earn extra entries to increase your chances to win. P.S. This would make a great Father's Day gift right? ?